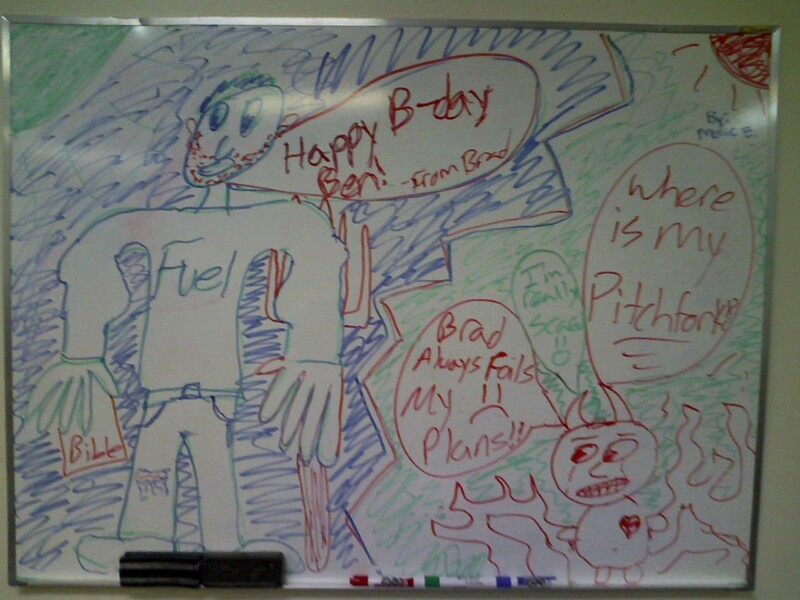 Some of our students drew this picture last Wednesday at FUEL. They are young Michelangelo’s as you can see. On Thursday I went up to clean and straighten up and just found myself starring at the caption “Brad always foils my plans”. How I wish with all my heart that I always foiled that Dirty Snakes plans. Our young people are to valuable to Almighty God to let even one slip through the cracks. Unfortunately they will, but it is my humble prayer, and my heart’s strong desire to see that we reach all we can, and foil as many of the Devil’s plans as possible. Whatever it takes, short of sin.